Are you thinking of replacing old windows in your apartment? Not only will new windows add greater aesthetic appeal to your space, they will also help keep your home better insulated from the temperature fluctuations outside. This means increased comfort, improved energy efficiency and hundreds of dollars of savings on heating and cooling costs in your pocket. The cost of new windows varies greatly and depends on numerous factors. To help you budget, we collected up to date replacement costs for the most popular window types and materials. On average, you can expect to spend between $300-800 for each window. If you are looking for a high-end material sash, such as wood, special styling (bay window), and other extra features you can spend as much as $2,000+ on each unit. These prices are for replacement windows placed inside existing and structurally intact window frames. The estimate includes cost of the new unit, installation, and removal/disposal of the old window. If the existing framing is rotted/severely damaged and needs to be completely rebuilt, these become new construction windows. In this case, expect to pay 50-100% more per unit than for a replacement window. Keep in mind that new windows offer a great return on investment. If you decide to resell your apartment, you can expect to recoup between 70-78% of your project’s cost at resale. If you plan to live your apartment for a long time, it may be worth it invest money into double pane, energy efficient windows. Studies show that you can save up to 24% in cold climates during the winter and up to 18% in hot climates during the summer. In addition to the installation and material costs, you should keep in mind the following potential extra charges. There are a number of key factors that will affect the total price for your new windows. 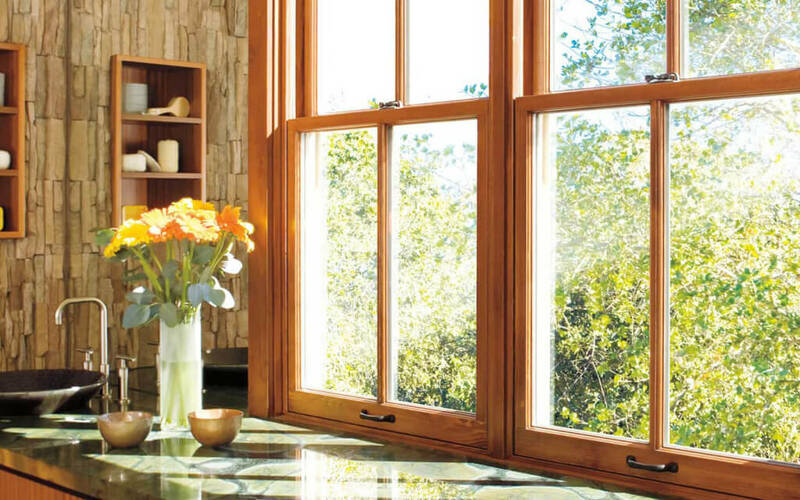 What your windows are made from has a huge impact on the price. The most economical are aluminum and vinyl windows. Composite and fiberglass are middle of the road, while wood is the most expensive material. It is important to research which material best fits your needs, as they all offer different durability, weather-resistance and maintenance features. 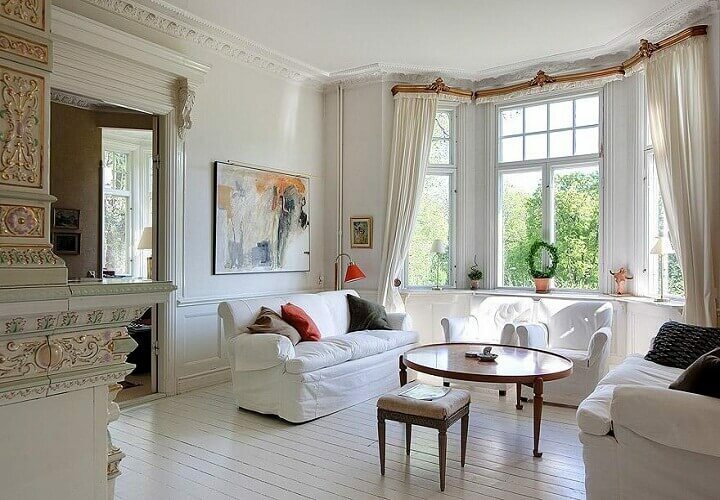 If you are on a tight budget, don’t shy away from vinyl windows. Over the years, manufacturer’s have greatly improved this material’s durability and aesthetic appeal. Now you can get highly durable vinyl windows in a wide range of no-fade colors and faux – grain finishes, that imitate the look of wood. 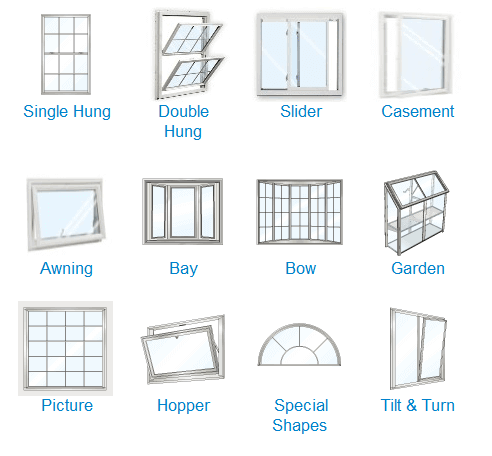 Windows are available in the following popular styles, shown above. Each style offers its own features and attributes, made to fit a wide range of spaces, from easily accessible to hard to reach. Because windows are priced individually, you can select different window styles for different rooms in your apartment depending on your needs in that particular space. Double hung windows are highly versatile and economical, making them the most popular windows installed. Picture and casement windows are also budget-friendly, while bay & bow window styles are among the most expensive. Windows are available in different sizes. Smaller or standard size will cost less to install than larger ones. Big windows are more difficult and labor intensive to install, especially if there are different parts that need to be assembled together. Also, each unit’s weight will impact the price, with heavier windows being more difficult to install, and therefore costing more. For example, vinyl windows are much lighter than those with a solid wood frame. If you only need to replace one window, it will cost you more per unit, than if you were doing a number of windows. For example, replacing 7-10 windows at a time, can cost you $50-100 less per unit compared to replacing 1-2 windows. If you choose to replace many windows at once, you may be able to find a company that will give you a special deal based on the large volume of work. 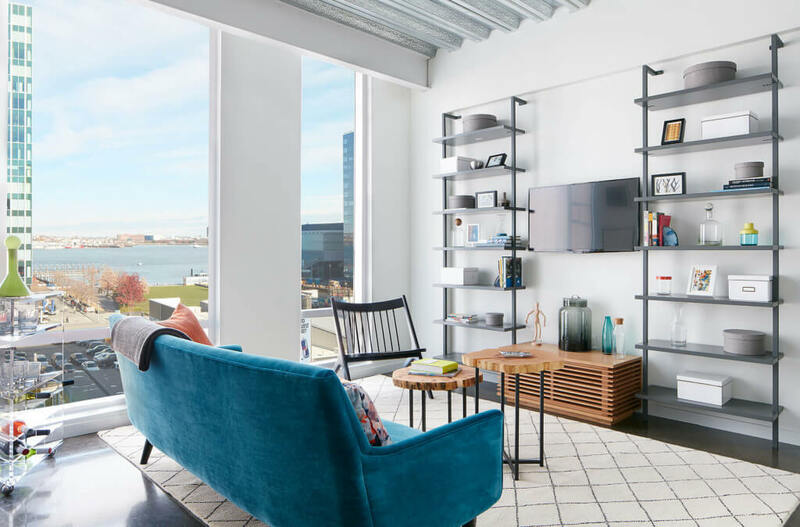 If your apartment is located on the ground level or the first floor and is easily accessible, your installer will not charge you any extra fees for installation. However, if you live on a second floor or higher, replacing your windows will be a more challenging job that will also require special equipment. If you live on the upper floors, your windows may need to replaced from the roof or from inside the apartment (depends on the dimensions of the windows). Often, difficult access and upper floors window installations can cost up to 100% more than regular installs. If your budget allows, you can explore different types of enhanced glass for your windows. For example, you can get double or triple pane glass, which features an airtight space filled with argon gas. While they cost a lot more than single pane glass, these windows offer improved insulation and climate control, and lead to increased energy savings. You can also explore high-end impact resistant windows or units with shades built between the glass. Once you start shopping around and getting quotes, you will find that different window brands and installers will have different pricing for the same product and amount of work. For example, Andersen windows, which are considered a premium quality, high end brand, will charge a lot more for their products than a lesser known brand. Big home improvement stores, such as Home Depot and Lowe’s, typically offer good prices on the windows themselves, as well as great insurance policies, but tend to charge very high installation prices. It is best to get at least 3-4 quotes from local, mid-size window installers.